Today at the Chamber of Commerce for Greater Philadelphia’s Annual Meeting, Daniel J. Hilferty, Independence Blue Cross president and CEO, officially became board chair. 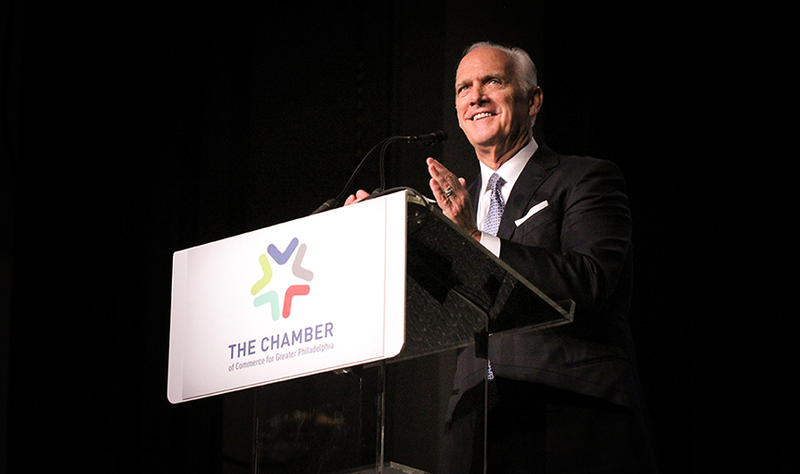 The Chamber brings together area business and civic leaders to promote growth and create opportunity in our region. It represents eleven counties, three states, and approximately 600,000 employees from thousands of member companies and organizations. Hilferty is also the immediate past chair of the board of directors of the Blue Cross Blue Shield Association, which represents Blue plans covering 106 million Americans, and he serves on the executive committee of America’s Health Insurance Plans. In addition, Hilferty is a member of the board of directors for Aqua America, where he is also the lead independent director; and FS Investment Corporation III. In 2015, he served as cochair on the executive leadership cabinet of the World Meeting of Families, which brought Pope Francis to Philadelphia.